Flower Delivery About Us. Finest florists and flowers. Are you curious about us? You want to know who we are, don’t you? 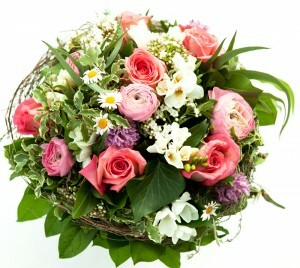 Maybe you are trying to determine whether we are trustworthy and competent enough to take care of your flower delivery. Then take a moment to read this in order to judge us properly. Flower Shops is aware that customers’ satisfaction is of major significance to any business. The thing is that displeased customers tend to share their opinion more than the pleased ones without being asked. This happens because they’re annoyed and exasperated. That’s why customer service has got to be the primary focus when you start a company. The emphasis has to be on you, always. But how can we reach a high level of customer satisfaction? By providing excellent flower delivery services, of course. This means that we aspire to be a company that can keep its word, and that’s what we do. A mistake like delivering the wrong order, for example, is unacceptable. There are no minor or major mistakes; all of them have to be minimized by us in order for our service to be considered precise and reliable. And that’s exactly what we do. In addition to this, our flower arrangements are always made after we receive an order and not before. Thus the flower bouquet stays fresher for longer after it’s been delivered to the address we’re given. And while being transported, the flowers are in a safe place and kept at a cool temperature in our vans. We believe that we’ll keep drawing new customers to us by offering diversity, which means a great variety of flowers, balloons and champagne. Our diversity also includes different types of flower arrangements for all kinds of occasions. As far as flowers go, we have something for any taste. Orchids, lilies, sunflowers, roses, tulips and so much more can be found on our website and then delivered to the doorstep of a friend, family member or a loved one of yours. 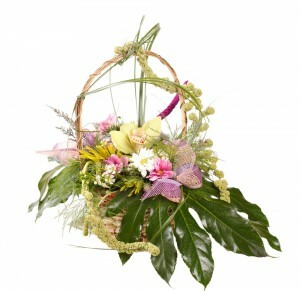 In a way, we can become part of your special events or beautify any home through the flower arrangements we make. And they are beautiful, to put it mildly. But our flowers can be so much more than just simply beautiful; they can be bright and colourful, subtle and delicate, cheering and vital, calm and peaceful, and so on. The enormous versatility not only of flower types but also of emotions they express can’t be denied. Along with flowers and balloons, we also have champagne, chocolate, potted plants, hand-tied bouquets and other little surprises that you can reveal by calling us on ‎020 3900 2440. When you decide to call, you’ll be astonished at the extra friendly manners of our office staff and their willingness to answer all your questions. Our flower arrangers deserve to be recognized. They are the ones who make the wonderful flower bouquets that are so different and occasion-appropriate, which inevitably shows how creative their imaginations are. Arranging flowers requires not only talent and creativity but also knowledge of specific techniques for making bouquets and garlands. We wouldn’t want to miss mentioning the actual flower delivery staff. They are the ones that the recipients of our flowers see on their doorsteps. That’s why they have to look presentable when delivering flowers. Our delivery employees are polite, prompt and friendly, so you can be sure that the person you send flowers to will be given his or her gift with a smile. Who we are partially depends on you because we’re trying to reach standards that will satisfy you and completely cover your needs. You are the ones that hold our future in your hands, which is why we strive for your approval.